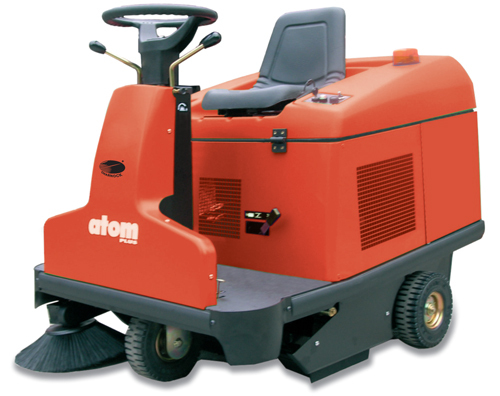 The ATOM Plus range is a series of sweepers with manual unload (Atom Plus) or high hydraulic unload (Atom SA).They were designed for those looking for more than a compact ride-on sweeper. More filtering capacity for working in dusty environments. More hopper capacity for increasing the hourly performance. More comfort for not tiring out the operator whilst unloading the dirt (Atom SA). More strength for long resistance.